Boathouse 19 is a casual waterfront restaurant specializing in regional American cuisine. It is conceived to be casual, comfortable, affordable and fun - befitting our dockside setting. With our unique location over the waters of Puget Sound, the fabulous views of the Narrows Bridge and the snow-capped Olympic Mountains, the maritime activity of the Tacoma Narrows Marina, and the romance of the railroad in our backyard - we represent everything wonderful about the Pacific Northwest. Our food is vibrant, full-flavored, and wallet-friendly. We feature a wide selection of regional American favorites with a modern twist. Our menu is offered continuously throughout the day and the evening and include options for those with gluten allergies. We also offer a fun and appealing Kid's Menu for those nights you would rather leave the cooking to someone else. Best of the Northwest is emphasized. Seafood from our local waters, meat from nearby farms, and fresh produce from local growers reflect our local heritage. We strive to use wild seafood whenever possible. 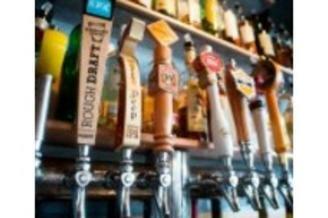 Washington and Oregon wines are celebrated on our wine list, and local beers are on tap. Our favorite specialty cocktails are concocted right here at Boathouse 19. We are located just 15 minutes away from Chambers Bay Golf Course, site of the 2015 U.S. Open, and we have plenty of free parking.